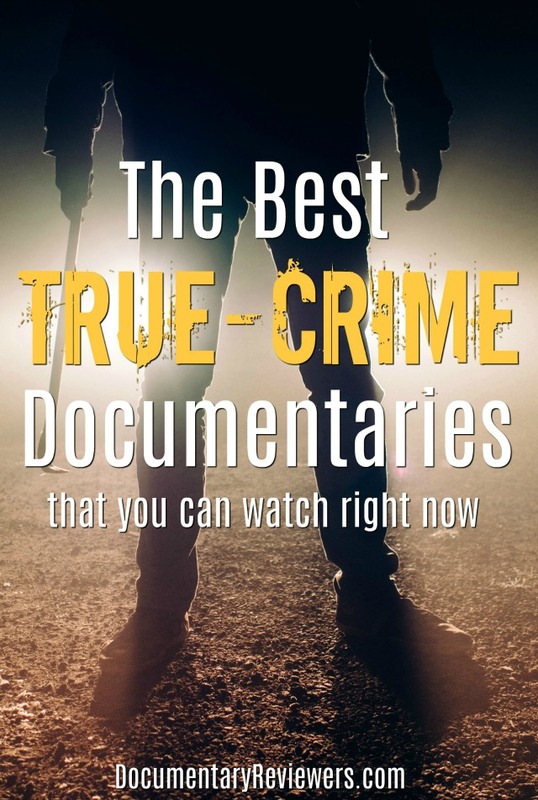 There is no doubt that true crime documentaries are some of the greatest flicks out there. Truth really is stranger than fiction, and every single one of these films proves it. From crimes of passion to false imprisonment, there’s no end to the shocking real life dramas that unfold in these true crime documentaries. Whether you’re looking for something terrifying, shocking, or downright disturbing, there’s something for you on this list! Time: The Kalief Browder Story is without a doubt one of the best true crime documentaries of our era and one that every single person in this country should watch. This true crime documentary (which is actually a full-fledged true crime series) tells the tragic story of Kalief Browder, a 16-year old child that was held in jail for 3 years after being accused of stealing a backpack. What makes this documentary so powerful though is that the theft – which Browder adamantly denies – isn’t the crime that really occurred. Instead, Kalief was subjected to injustice after injustice every step of this harrowing journey, from false imprisonment and court manipulation to torture and mental abuse…all right here in the United States. This docuseries will completely blow your mind and keep you glued to the screen for every moment. It’s definitely one of the most disturbing true crime documentaries out there…ironically stemming from a case that started with no crime at all. Add this to your Netflix queue and move it to the top of your list! It’s an unbelievable true crime documentary that will stay with you for a long time. Imagine being raised to believe you were sick and disabled, being told you had to hide the fact that you can walk, and coming to terms with the fact that life may always be that way. That was the life and fate of Gypsy Rose…until she took matters into her own hands. Mommy Dead and Dearest tells the gruesome tale of Gypsy Rose, from a childhood of perverse abuse to the fateful night that changed everything. This socking and disturbing tale is definitely one of the most mind blowing documentaries you will ever see and a must-watch for any true crime buff. If ever there was a true crime docu-series that could keep you up at night, it would be The Confession Tapes. And not because of disturbing material, bizarre plotlines, or horrific details. The reason The Confession Tapes will sit with you for so long is because this could happen to any of us – a coerced confession to a crime you didn’t commit. 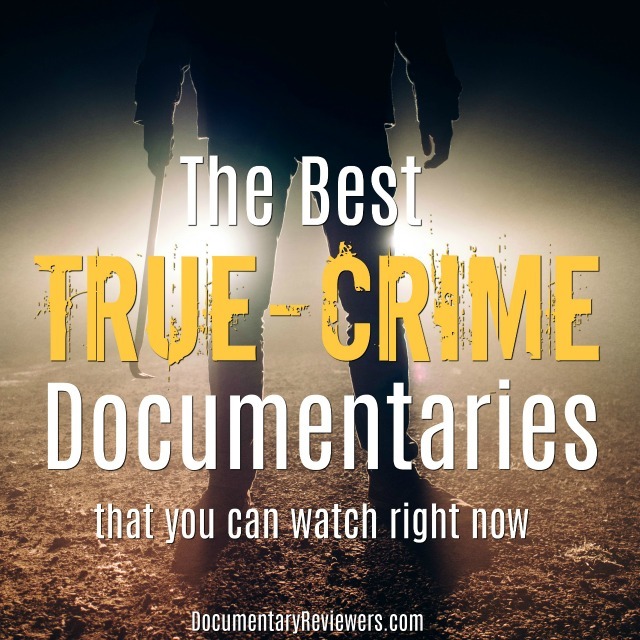 And that is what each episode of this true crime documentary series features – different true crime dramas that ended with a wrongful conviction and imprisonment. The Confession Tapes is one of Netflix’s best new true crime series, so be sure to add it to your queue! Making a Murderer is the mother of all true crime documentaries – and for good reason. It held serious weight and managed to draw attention to a major miscarriage of justice, ultimately changing the fate of one member of the documentary’s focus. In the documentary, Steven Avery’s life and unfortunate bad luck with the law are profiled, showing an early wrongful conviction followed by a questionable and completely unrelated second conviction. The handling of evidence, questioning of suspects, and clear distaste for Avery are all aspects of the investigation that will make you feel sick and seriously call into question the validity of accusations. Making a Murderer is without a doubt one of the best true crime documentaries on Netflix, so make sure to add this one to your watch list! Murder Mountain is an amazing Netflix true crime documentary series that not only covers the true crime mystery of Garret Rodriguez, but also the criminal legacy of Humboldt County’s infamous marijuana growers. The docuseries takes you from the inception of marijuana in Humboldt to the legalization and precarious decision that growers now face: cough up the money to grow legally or continue risking the black market trade. But what’s really exciting about this true crime series is the way this region got its name – Murder Mountain – and the role that the marijuana trade played. This is a really great true crime documentary that covers not only murder, but also illegal drug trade, an outlaw lifestyle, and vigilante justice. Definitely add it to your Netflix queue! After the successful release of Making a Murderer, Netflix had really set the bar high. Yet somehow when they released The Keepers, they managed to meet, if not exceed, the new standard. The Keepers delves into a true crime unsolved mystery that has twists around each and every corner. The murder of Sister Catherine Cesnik sends shockwaves through her community, but the story just becomes more twisted and unbelievable as former students take the investigation into their own hands. The Keepers is definitely a must-watch true crime documentary that profiles not only an unsolved murder, but yet another case of an abusive priest whose crimes were buried and remain unanswered. Welcome to Leith is a terrifying, intriguing, and disturbing true crime documentary that profiles a different kind of crime…one that almost sounds too crazy to be true. Famed white supremacist, Craig Cobb, moves to a small North Dakota town with one goal in mind: take over the town to turn it into a haven for white supremacists. The documentary follows the towns’ people as they swiftly try to keep their homes safe, while Cobb works every angle to build more and more power. Welcome to Leith may keep you up for quite a few nights, especially if you think white supremacy is behind us. But it’s a must-watch and definitely one of the best crime documentaries out there. The Staircase may be one of the first true crime documentaries to really blow people’s minds, but it didn’t gain it’s true claim to fame until Netflix took hold of it, added 3 new episodes and released it on Netflix in 2018. Following the high-profile case of novelist Michael Peterson, The Staircase shows an immense amount of behind-the-scenes footage and draws attention to the often unfair criminal justice system. Not only does this documentary series have quite a few shocking twists and turns, but the addition of Netflix’s final 3 episodes as well as 2 follow-ups prior to that gives you the chance to follow the Peterson family over nearly 20 years of fighting in the justice system. If you love murder documentaries, then The Staircase absolutely needs to move to the top of your Netflix queue! Children, wrongfully convicted of a crime and forced to spend their formative years behind bars before the truth finally comes out. That was the fate for The Central Park Five. Profiling one of the highest profile true crime stories of it’s time, The Central Park Five tells the story of these 5 boys and attempts to answer the question that everyone should be asking – how did this happen? This documentary is heart-wrenching and captivating. It’s a must-watch true crime documentary, especially if you’ve never heard of their story. Evil Genius covers one of the most bizarre true crime dramas to ever unfold – known as the Pizza Bomber Heist, where an unsuspecting pizza delivery man shows up to rob a bank…with a bomb strapped around his neck. But what starts out as a disturbing and bewildering crime only gets weirder as you meet the crazy collection of characters that took part in this failed robbery attempt. The story is so captivating that Netflix was able to turn this documentary into a full-fledged true crime documentary series, with each episode being more shocking than the last…down to the very end of the film. If you can’t get enough of true crime, then Evil Genius needs to be one of your next choices! It is definitely one of the most disturbing true crime documentaries you will ever see. The Innocent Man is one of the newest true crime documentaries on Netflix based on John Grisham’s best selling non-fiction book of the same name…and just as you would expect, it’s amazing. Set in small town Ada, Oklahoma, this true crime documentary follows the two seemingly unrelated murders of Debra Sue Carter and Denice Haraway…except for the fact that both cases seem a little bit fishy. And after digging into each of them, it became very clear that there was definitely something amiss. This Netflix true crime documentary series pulls in all of the great elements of a modern day true crime flick – false confessions, dirty deals, hidden evidence, The Innocence Project, and of course…a few innocent men. If you like true crime, then you will love The Innocent Man. Add it to your Netflix queue! Crazy Love is the ultimate too-bizarre-to-believe documentary…but it’s all true. Profiling the sordid life-long love affair of Linda Riss and Burt Pugach, Crazy Love shows just how powerful obsessive love can be. After attempting to end their initial affair (Linda wasn’t happy to discover Burt was already married), Burt decides there’s only one thing left to do: have lye thrown in Linda’s face as an act of revenge. But that’s only the beginning of this true crime documentary. While in jail (because…ahem…it’s illegal to throw caustic substances at past lovers), Burt is able to rekindle the love affair with Linda. And thus begins their bizarre true crime love story. If you think it’s too weird to be true, you’ll just have to see Crazy Love for yourself. Long Shot tells the real-life underdog story of Juan Catalan, a man falsely accused of murder and left to prove his own innocence. With the help of his lawyer, they solidify his alibi in a way that would make Hollywood proud (with a few celebrity appearances to make things even more exciting). Despite the injustices that Juan is forced to go through, you’ll end this documentary with a smile on your face. Tabloid is a rare breed of true crime documentary. It actually manages to be comical, not just scary, intriguing, or disturbing as most true crime films are. This is not only because the crime is bizarre in nature – a beauty queen kidnaps her Mormon lover in an attempt to impregnate herself and “convince him” that he’s truly in love with her. It’s also because Joyce McKinney herself narrates the film, giving you the perspective of the alleged criminal who may or may not have lost all her marbles. This true crime documentary is entertaining, as well as bizarre, and definitely worth watching! Related post: Tabloid: A Documentary Too Weird to Be True? I hope you enjoy each and every one of these true crime documentaries. As always, let us know if we’re forgetting a great one that you think deserves a spot on this list.